← Kōzakihana to Kumamoto to Aso-spa to Beppu. Beppu to Shikoku to Osaka. 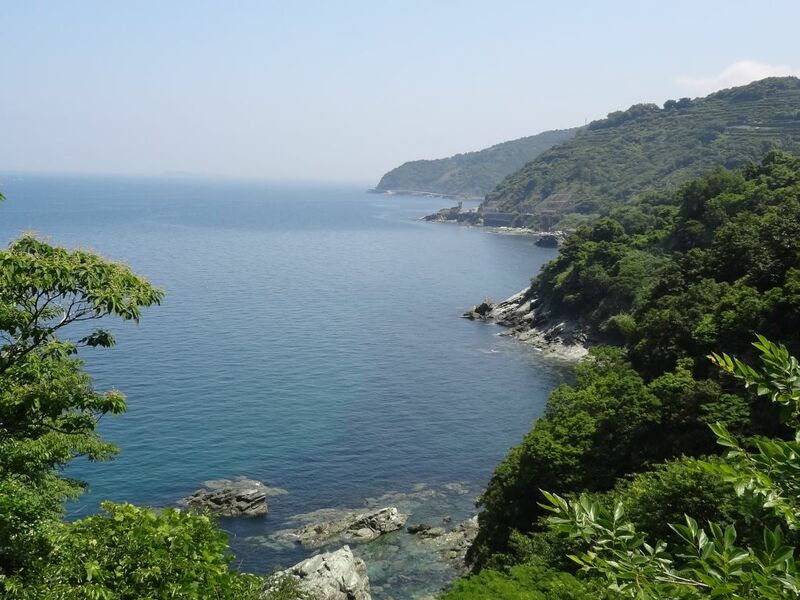 Saturday 9th June – Kyushu to Shikoku. Exchange photos with Aki before leaving Beppu in bright sunshine. Ride along the wonderful cycle/pedestrian promenade. Why is it not possible to do something like this in Chch? 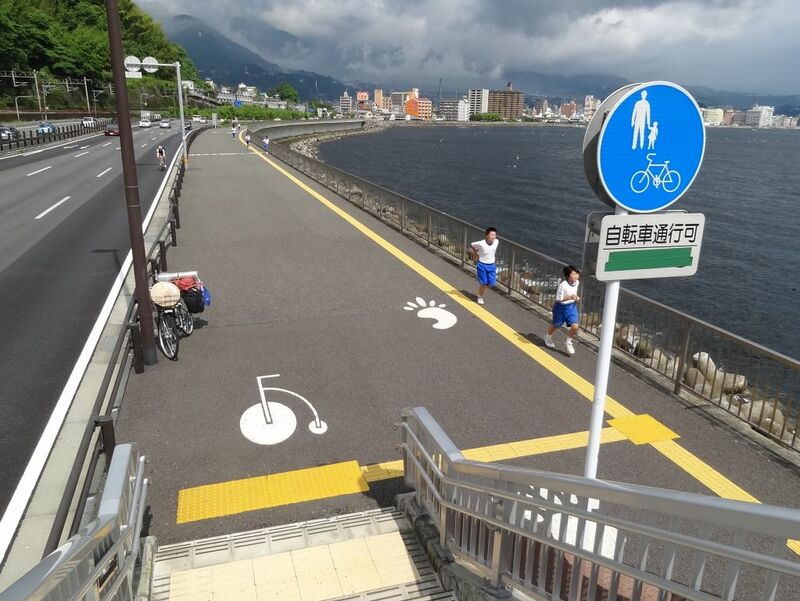 Wide promenade for cyclists and walkers goes from Beppu to Oita. Finally find a place that sells the correct gas canister for my burner. Also get a stainless steel flask I have been looking for since leaving mine at home. Can’t find the chicken, must have missed it when the bananas dropped on the ground from my backpack. Overloaded with food again, must be more disciplined about what I buy. 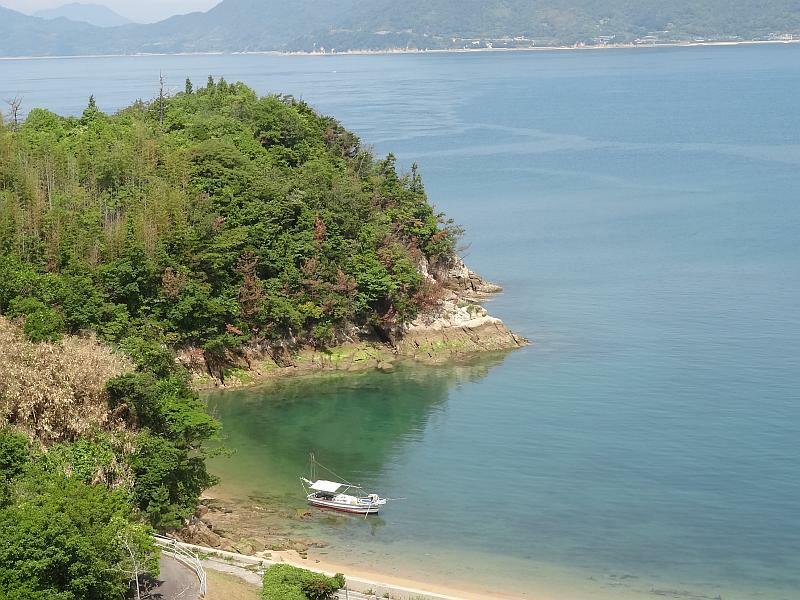 Catch the ferry from Saganoseki, Kyushu to Misaki, Shikoku on the Sada Peninsula, like last year. Ferry staff at destination not so helpful this year. Hilly section of road follows but light traffic. Stop at the “toilets”. I am still amazed at their grandeur. You could get married here! A blustery wind is blowing, wonder which is best, stay the night here or proceed to the michi-no-eki. Le Grande Toilettes del Public! Koji rolls up in his van and stops for a chat. A keen surfer who once spent 3 months in Byron Bay, Oz. As a local he thinks it would be best to stay. I remember the road station is on an exposed ridge. But it is too early to stop. In the end I stay. Wind gets stronger then dies away. Don’t sleep very well due to toothache. Hope it goes away. 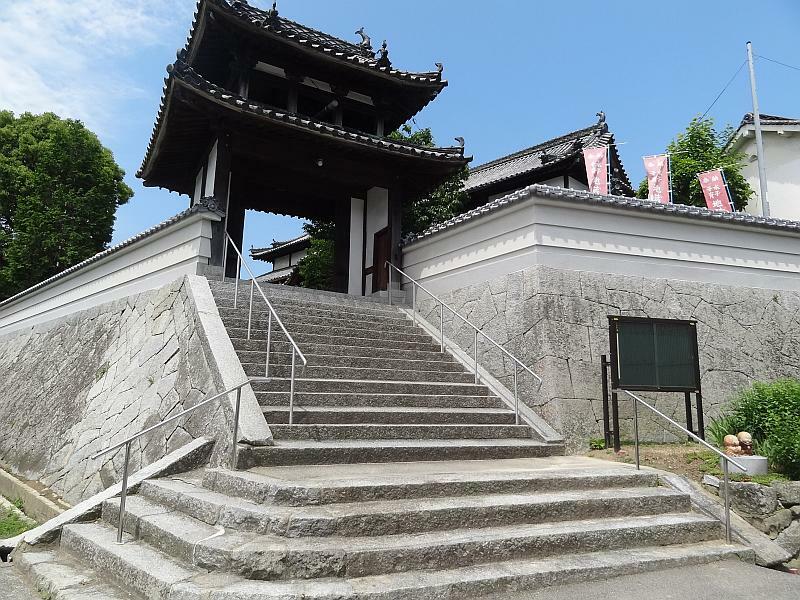 Sunday 10th June – Saga to Matsuyama. Up at 5:00am, someone else has come last night and a van is now parked on the other side of the toilets. 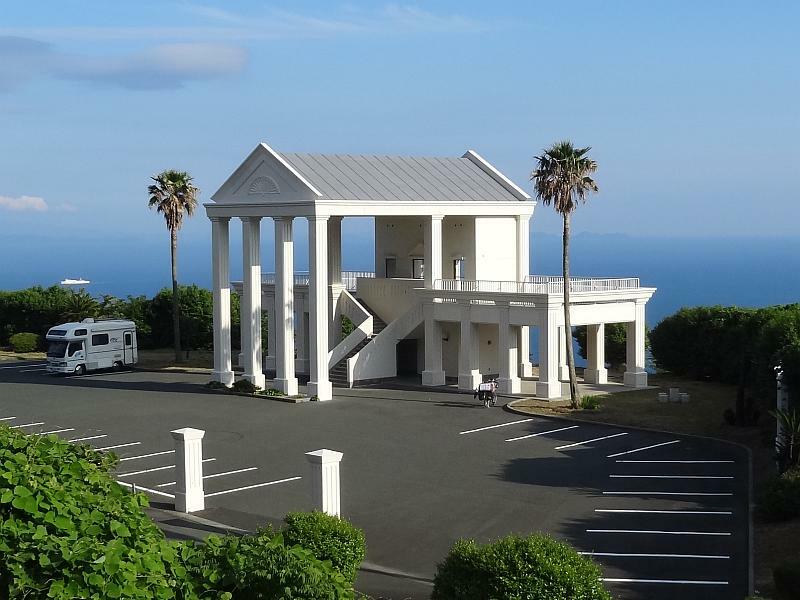 Depart at about 7:00am and soon arrive at the michi-no-eki. Record the “melody road” then on to Matsuyama! 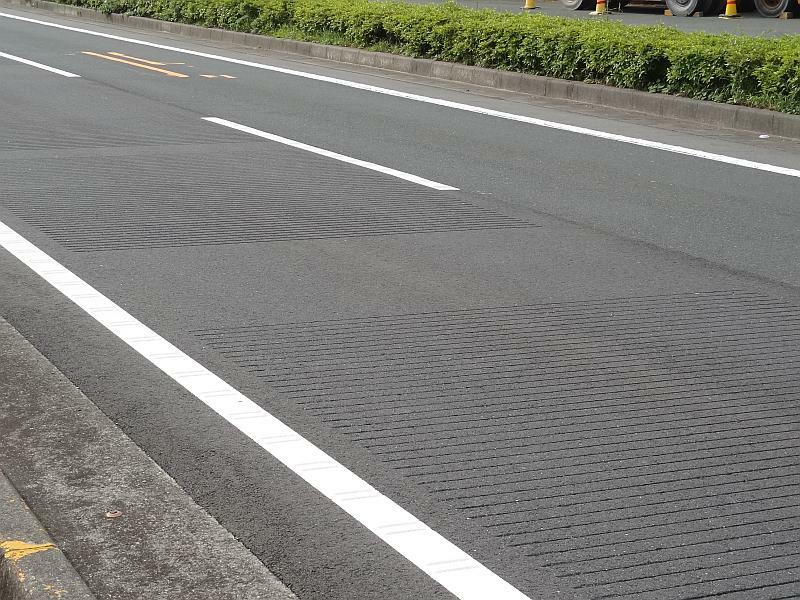 This road plays a melody! 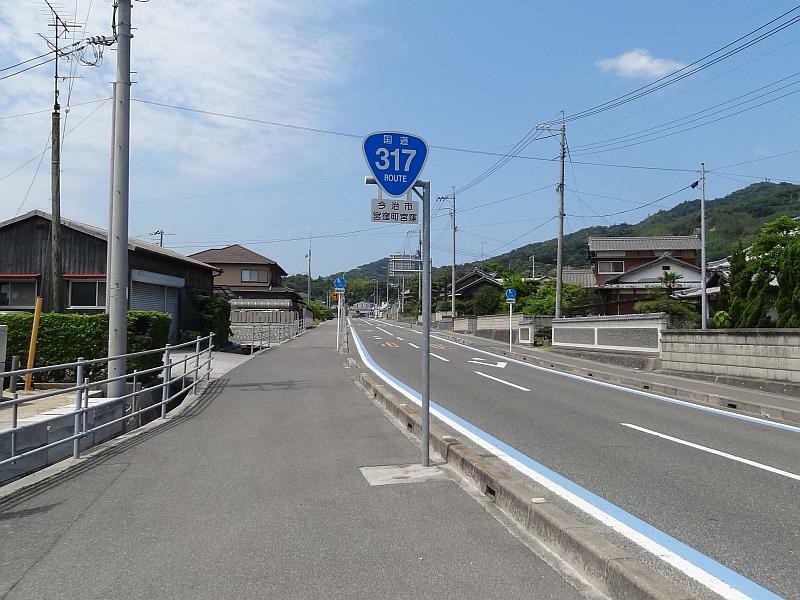 A nice long downhill to the 197/378 intersection. While stopped part way down someone going the other way on a motor bike pulls up, turns round and comes to give me a packet of sweetbread. Then continues on his way. Thank you! 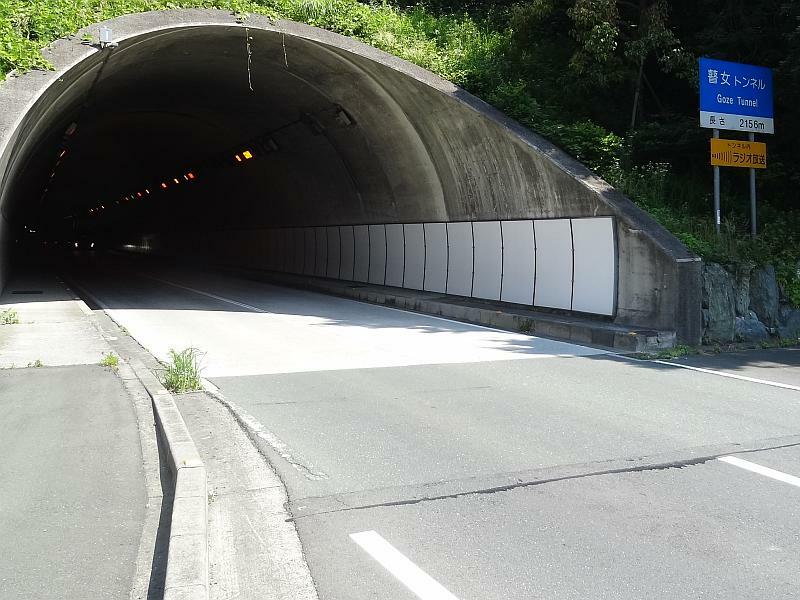 Continues hilly for a while after turning onto Route 378, pass through the 2156m Goze Tunnel, coming out on the northern coast. 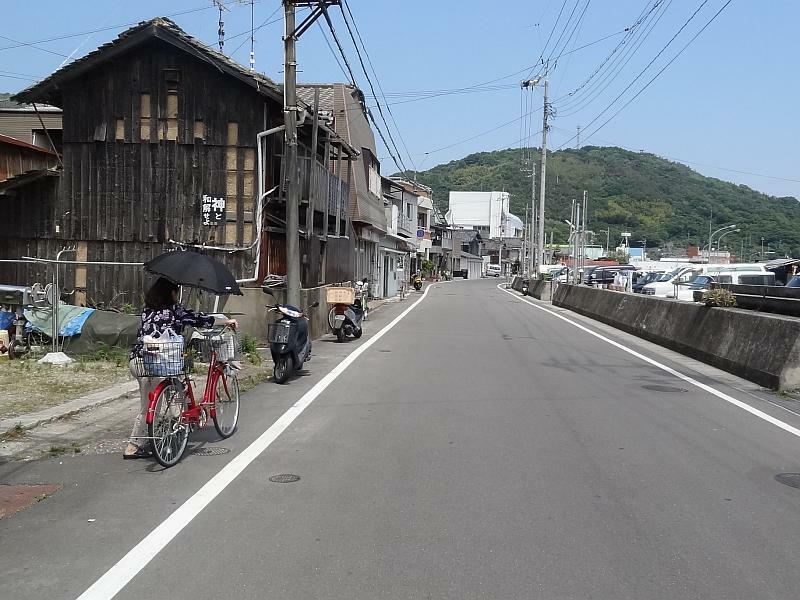 More hills follow then flattens after Nagahama all the way to Matsuyama. View on the way to Matsuyama. 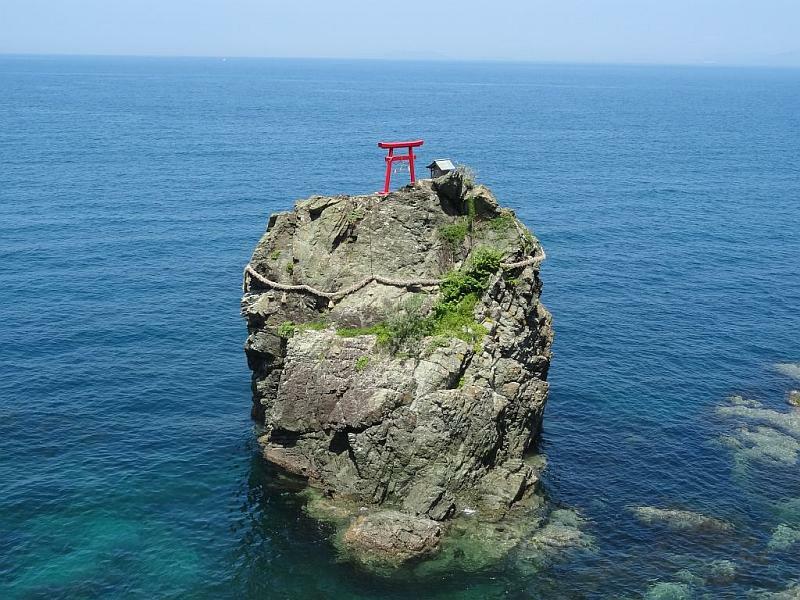 Shrine perched on a rock. More views going to Matsuyama. Some spectacular views along the coast. 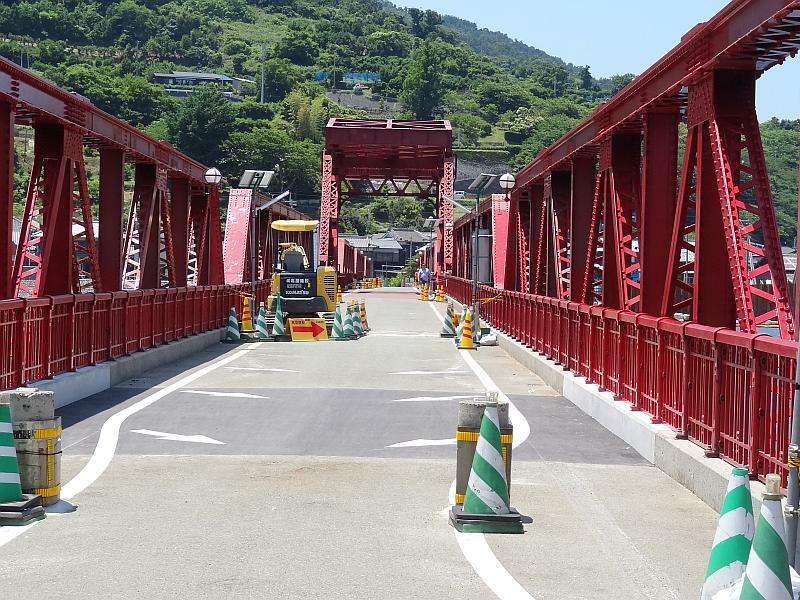 The historical Nagahama Bridge is closed to cars for repairs and maintenance, but still open for pedestrains and cyclists. The way to go. They would never do that in Christchurch. Sunday traffic builds up in the afternoon but not too bad. 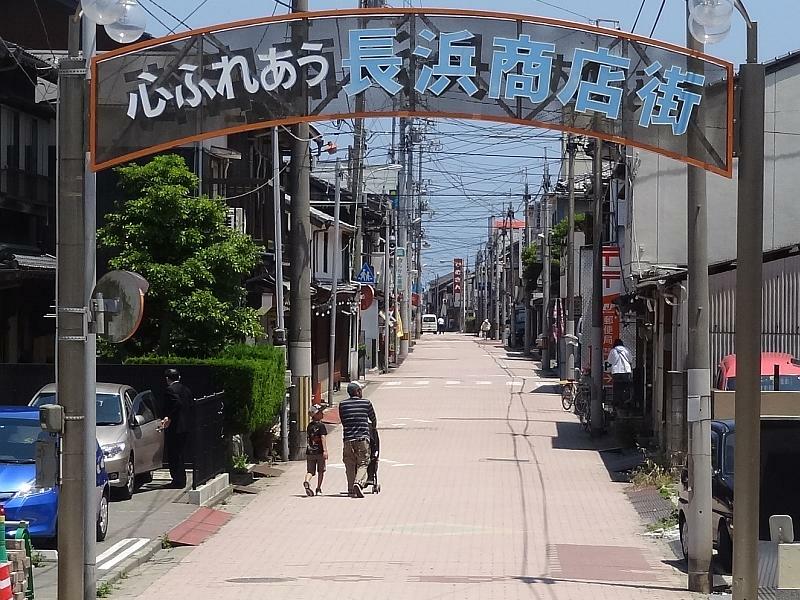 Roll into Matsuyama without much trouble. Head straight to EcoDogo Hotel. The photos of the owner’s motor bike journey from China to Europe are still on the stairwell walls. 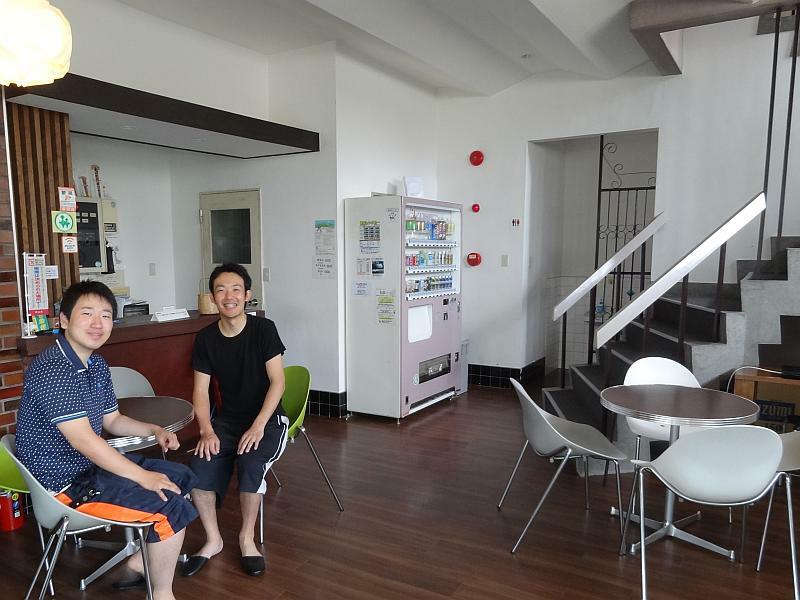 Seems I and a female cyclist from Nara on a 2 week ride are the only two people staying. That is until about 10:00pm when two gents arrive and take beds in the same dorm as me. Monday 11th June Matsuyama to Shimanamikaido. Have a good sleep last night. We chat for a while before I leave. They are students of school uniforms from Kumamoto. Easy day again so no rush. The rickshaw drivers at Dogo Spa are interested in me. We talk for a while – Matsugouru(?) 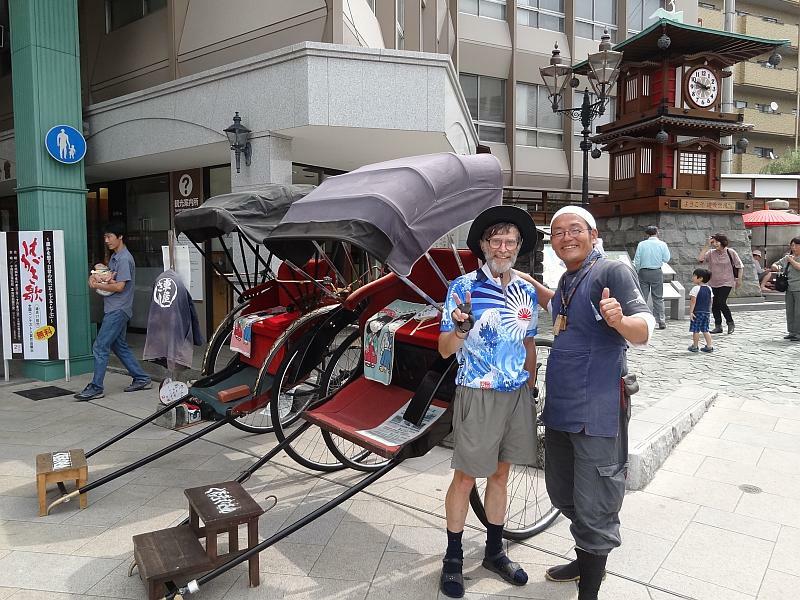 says it costs about ￥2million to buy a rickshaw. Fares start at around ￥1500, standard is about ￥6,000. I do not remember seeing any rickshaws last year. Becomes more overcast as the day progresses. Along the way notice a few changes from last year. Discover my hotel room key is still in my pocket! Buy some sunscreen at chemists and the pharmacist offers to return it for me. 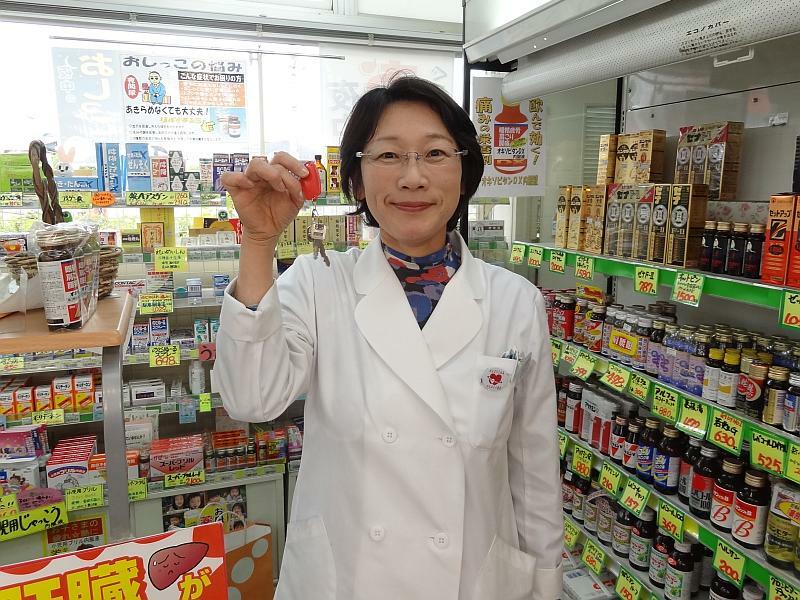 At Imabari Station the same very helpful lady is at info centre as last year. She can’t stop laughing when I tell her what I am doing and on my mama-chari! Forecast says light rain this evening and tomorrow evening. Go outside to light spots already falling. Up at the Cycling Terminal they say it is 25km to the campsite – will be dark when I get there and it is now raining. I change plan and go to a nearer one that is off route. On arrival it is not as well appointed. 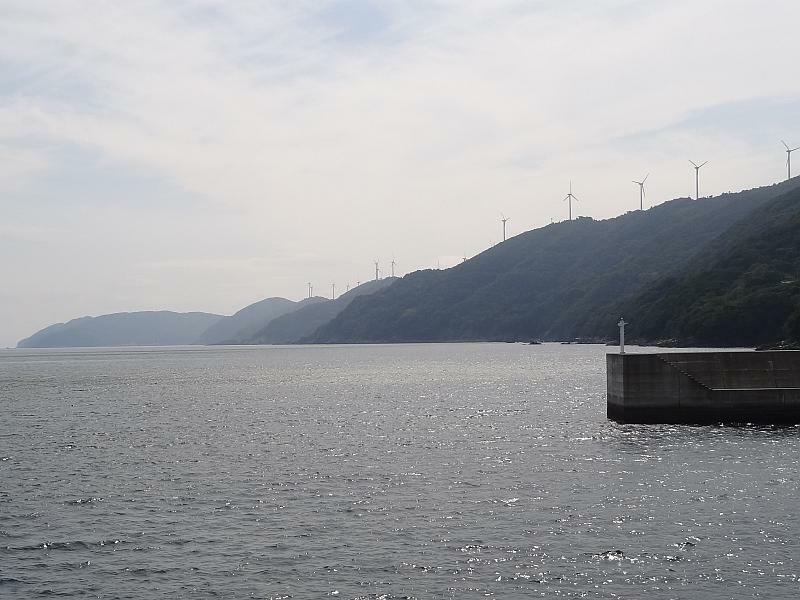 Tuesday 12th June – Shimanamikaido. 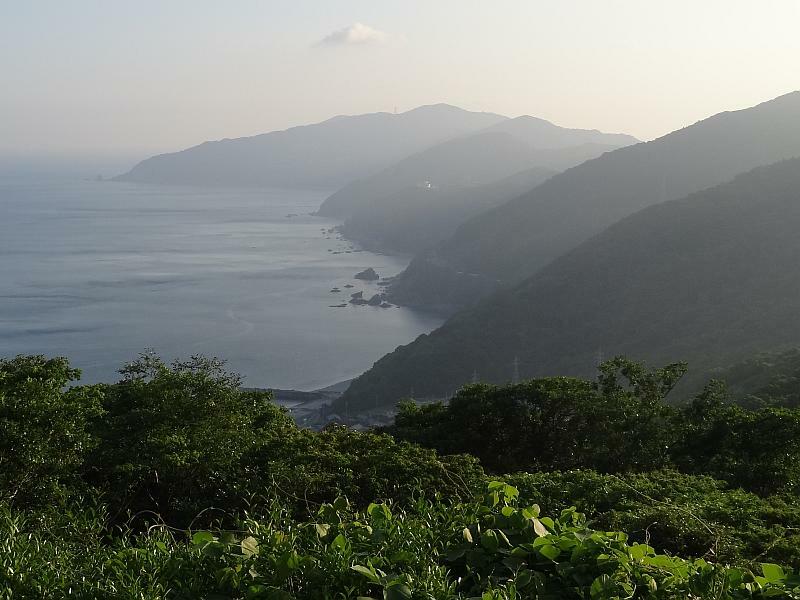 The campsite overlooks the narrow channel through which pass an endless procession of ships going to and from the Inland Sea, their engines can be heard gently throbbing in the dark. Good sleep though. Morning brings gentle rain so wait to see if it will stop. A couple of workmen arrive and try to start weedeaters. They succeed after about an hour and proceed to cut the grass. They do not seem to have lawnmowers in Japan. Whatever the reason, the result is the same – noise! They stay until lunch then pack up and go. 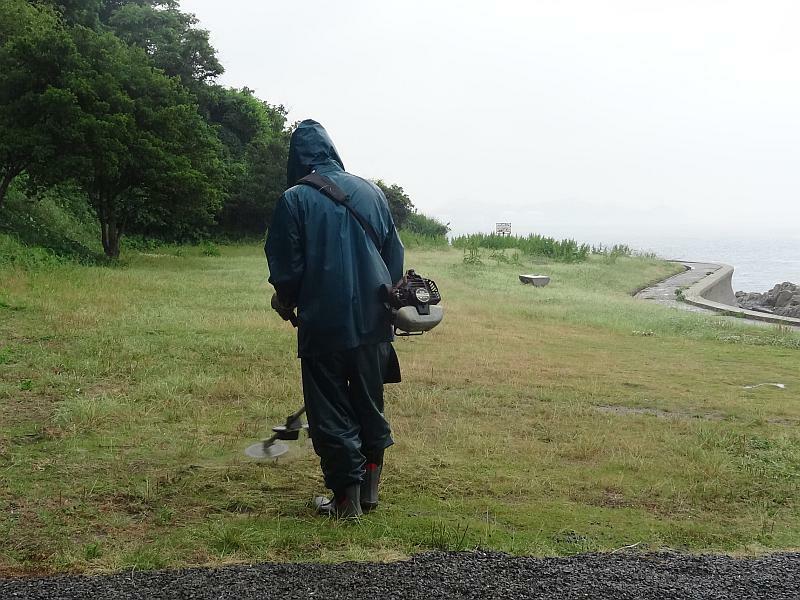 Rain ceases at about the same time, so I pack and go as well. 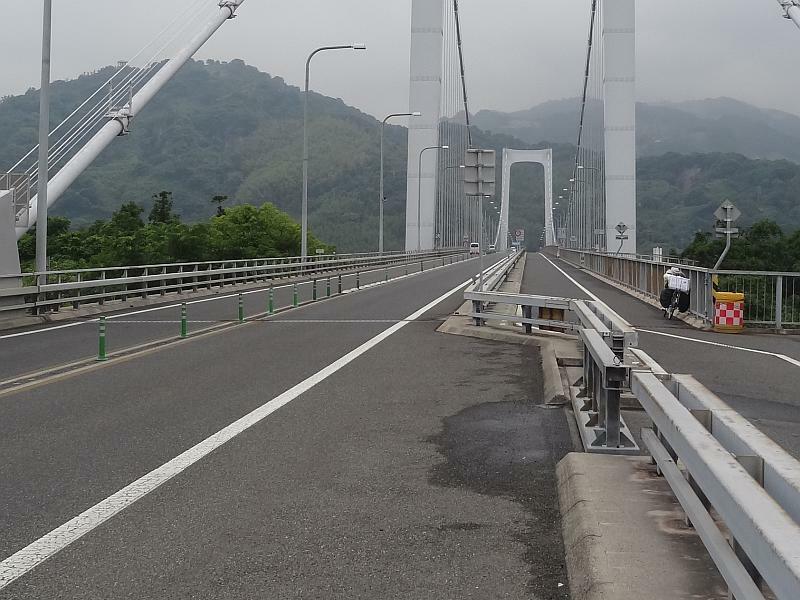 Shimanamikaido is a road (kaido) that links Shikoku and Honshu using a series of bridges and islands (shima). Nami (wave), means it goes up (to cross bridges) and down (to cross islands), just like waves. So literal translation is “island wave road”, I think. 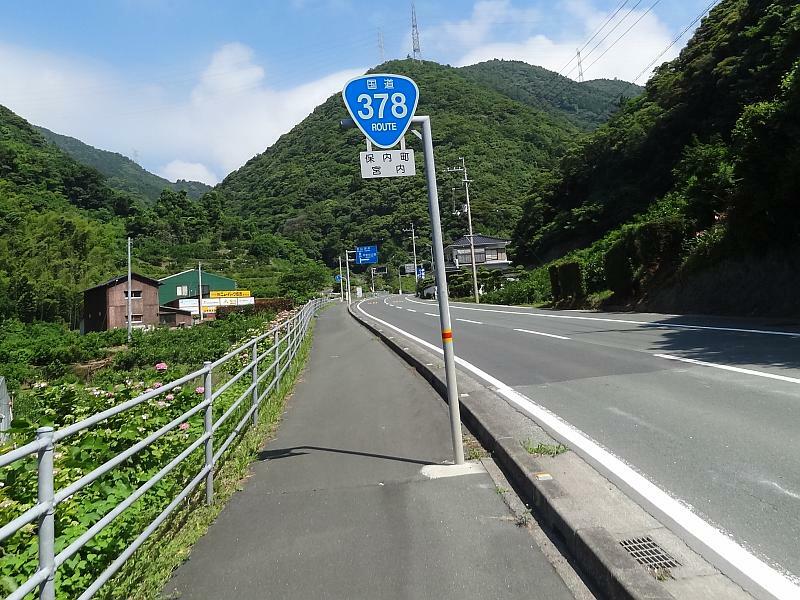 They have developed a 70km cycle and walking path alongside the road. There is even a cycling terminal which is similar to a hotel. Here people can stay, eat meals, rent bikes and get information – anything to do with cycling. Arrive at my first choice camp site late afternoon. The distance is only 20km so I could have made it before dark last night. While it is overcast it does not rain. I’m the only one there. 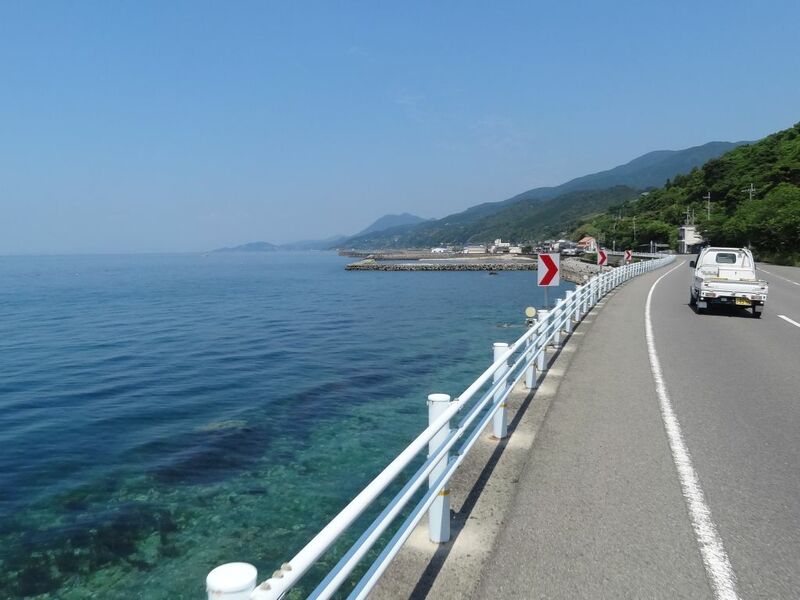 Wednesday 13th June – Shimanamikaido to Niihama. It is a bit noisy from traffic on the road above. 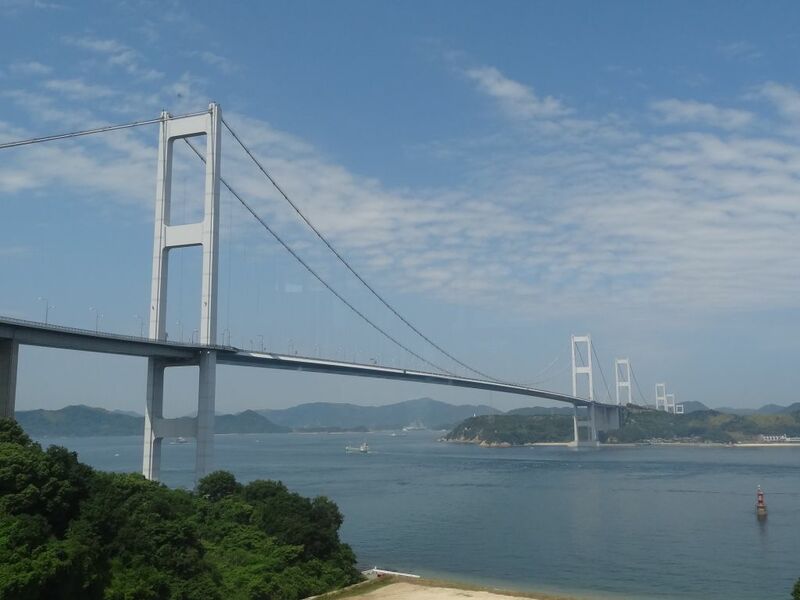 Nice sunny day, continue to the next bridge before returning to Shikoku. Have decided for a number of reasons to take the night ferry from Niihama to Osaka instead of riding across Shokoku. 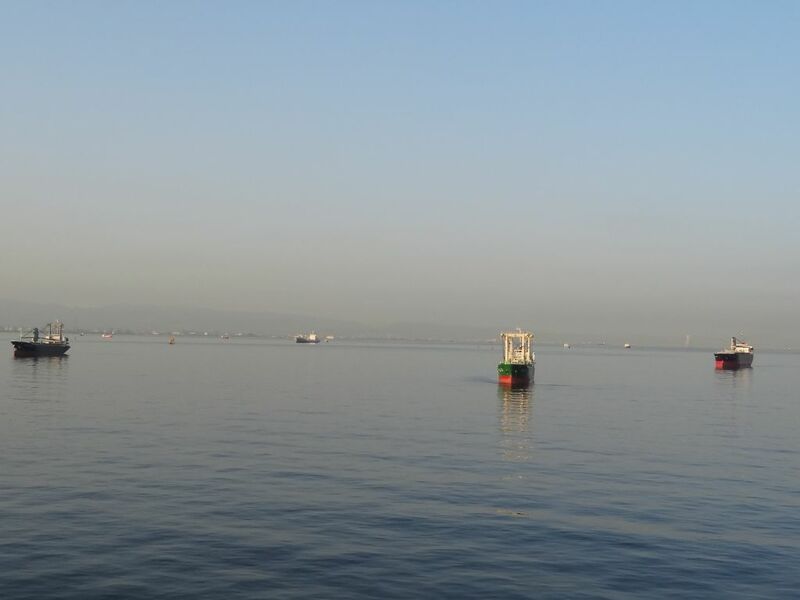 Uneventful journey going to Niihama port. Not sure why but I ride to the furthest of the two ports to catch the ferry. The ferry staff at the terminal is really nice and helpful and funny. It is a pleasant trip. Not many people on board. About 10 people in our room for 28. Someone is making a lot of noise with velcro while the rest of us try to sleep. I wonder if I should go and ask him to stop. I finally look up and he leaves the room! Peaceful. 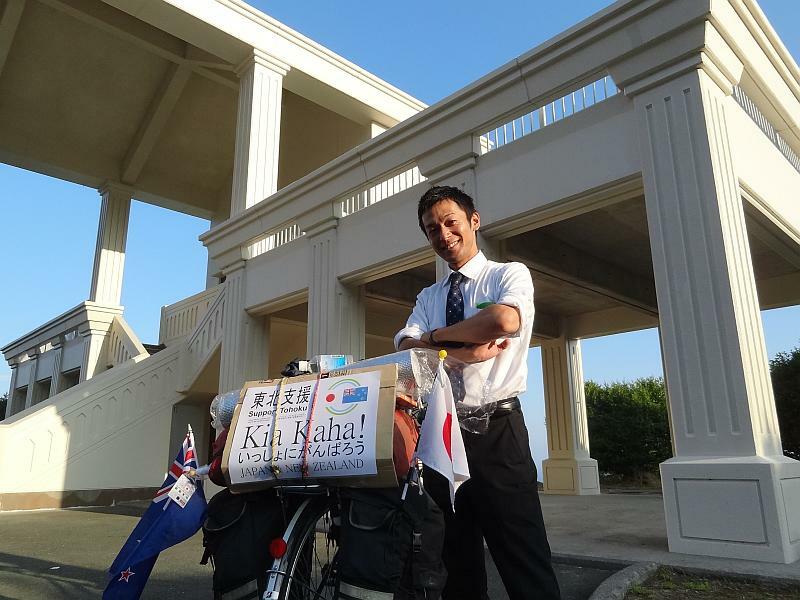 This entry was posted in Cycle Touring, Japan, Shikoku and tagged cycle touring, Japan, Shikoku. Bookmark the permalink.